What is a Mucinous Cyst? Very common but seldom talked about! What is that thing on your foot? 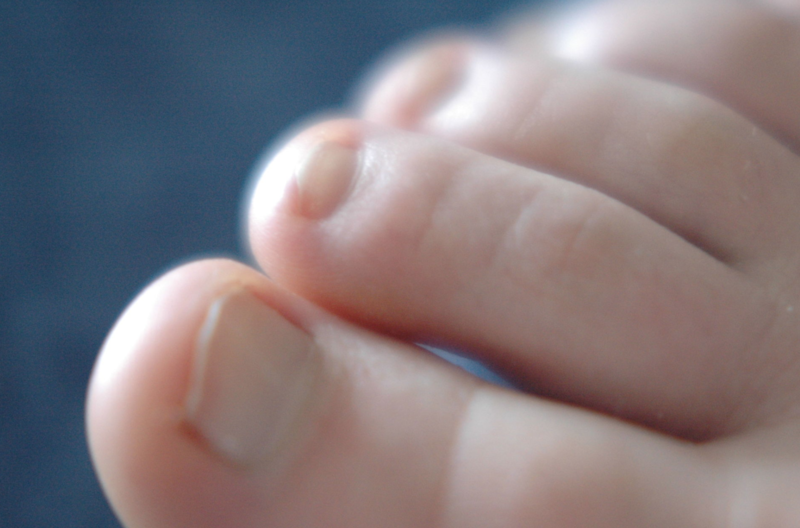 You recently developed a small blister like area just behind your toenail. It's not going away it's not inflamed and it doesn't look infected. To get the definitive diagnosis you will need to come into the clinic for evaluation both physical exam and if necessary diagnostic ultrasound imaging. A mucinous cyst is a fluid-filled space occupying lesion that occurs on the toes usually at the joint near the tip of the toe–distal interphalangeal joint and just behind the toenail on the top of the toe. It can look like a translucent lesion or like a blister. These cysts actually communicate with the underlying joint and therefore have joint fluid in them. It's important not to treat these on your own. If they become infected they can communicate directly with the joint and cause a septic or infected joint. There are several treatment options. One is you can have it drained at our clinic. They often come back again because the joint fluid that is connected to them has a ready supply to fill them up again. Therefore sometimes we have to excise them. But it's not always that simple. They often come back after excision because remember they communicate with the joint just deep to the lesion itself. Therefore sometimes it is necessary to remove a small portion of the joint directly adjacent to the lesion. Some people choose just to leave them alone or have them drained if or when a flareup. Either way its nice to know for certain exactly what you have. These are similar but different to a ganglion cyst. If you have questions about a similar problem or like a consultation please let us know. Myself Dr. Timothy Young, or my partner Dr. Brandon Nelson would be happy to provide a consultation.